A mixture of decaying organic matter, as from leaves and manure, used to improve soil structure and provide nutrients. While composting may seem mysterious or complicated, it’s really very easy and a natural process that constantly occurs in nature, often without any assistance from mankind. If you’ve ever walked in the woods, you’ve experienced compost in its most natural setting. Both living plants and annual plants that die at the end of the season are consumed by animals of all sizes, from larger mammals, birds, and rodents to worms, insects and microscopic organisms. The result of this natural cycle is compost, a combination of digested and undigested food that is left on the forest floor to create rich, usually soft, sweet smelling soil. Compost is good for two reasons – it’s great for the garden and it’s environmentally responsible. Garden Benefits – Compost is great for the garden because it improves the soil, which in turn supports healthier and more productive plants. Compost provides virtually all of the essential nutrients for healthy plant growth, and it almost always releases those nutrients over time to give plants a slow, steady, consistent intake of the elements essential for growth. Compost also improves the soil’s structure, making it easier for soil to hold and use the right amount of moisture and air. Compost will improve the texture of both clay and sandy soil. Compost is the best additive to make either clay or sandy soil into rich, moisture holding workable soil. 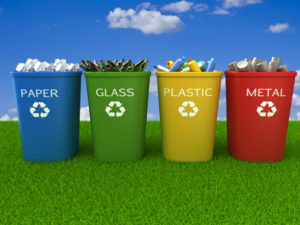 Environmental Benefits – The most obvious environmental benefit is that composting can significantly reduce the amount of solid waste that would otherwise find its way into the trash collection and dumping cycle. 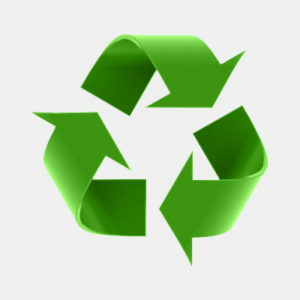 The more we compost, the less we contribute to the cost of trash removal and the volume of solid materials in landfills. Using compost to feed your lawn and garden will also reduce your dependency on chemical fertilizers. Using compost instead of chemical fertilizers will ensure that your lawn and garden thrive in soil that is alive and healthy. To make compost, you’ll need to dedicate some outdoor space to the process. The location of your compost production should be convenient to the garden, as well as close to the source of the raw materials (kitchen scraps, lawn clippings, leaves etc.) without being an eyesore. Finding a good spot for your compost pile might be easier if you have a lot of land but, even if you live in the city you can still maintain a compost pile with creativity and effort. There are two basic kinds of compost piles – open bins and enclosed containers. Open bins can be constructed with wood, chicken wire or recycled plastic. Enclosed containers for composting usually consist of one of two designs: upright box like containers and rotating drums. Whether you choose to use an open bin or a compost container, two chambers are always better than one. If you are serious about composting, having two chambers is a necessity. The composting process takes at least several weeks under the best conditions; you cannot add additional materials to the heap without resetting the clock to day one. To create an ideal batch of fully composted material, your mix needs to “cook” for at least several weeks; if you add additional material, you’ll have a mix of fully decomposed material, partially decomposed material and fresh materials. It’s much easier and much more desirable to use a consistent mixture of fully decomposed compost for gardening purposes. After you’ve built or bought a compost bin or container, there are only a few tools that you’ll need to make compost. Pitch fork or turning fork – The best hand tool for mixing and turning a working compost pile. The tines of the fork will penetrate layers of leaves and grass clippings, and make the mixing process much easier than using a shovel. Garden Cart – The best tool for moving compost from the heap to the garden. Garden carts can be useful in catching compost from a rotating drum composter. Compost Thermometer – not mandatory but you might be interested in checking the temperature of the “core.” A properly established mix will heat up to 160 degrees. One of the great aspects of composting is that the key ingredients are often things that you’d be tempted to throw away. Compost is created when you provide the right mixture of key ingredients for the millions of microorganisms that do the dirty work. These microorganisms will eat, multiply, and convert raw materials to compost as long as the environment is right. You need to simply provide food, water, and air. The water and air is easy. The food is a little more complex. Food consists of two classes of materials, simply referred to as “Greens” and “Browns.” Green materials are high in nitrogen, while brown materials are high in carbon. The green materials provide protein for the micro bugs, while the brown materials provide energy. The best combination of browns and greens is about 4 parts of “browns” to on part “greens” by volume. Of course, this is a rough approximation. If you have more browns, you’ll still get compost, it will just take longer. If you are on the side of too much green, you’ll likely have a smelly garbage heap. The best source of brown material is dry leaves. Harvesting, shredding and storing dry leaves are the best things you can do to create compost. Use a leaf vacuum or a lawn mower to shred the leaves and collect them when they are dry. When you provide the micro bugs with a good mixture of browns and greens, as well as some water and air, decomposition can be very efficient. This is known as “hot” composting, sometimes called “aerobic” composting, because the microbes that require air have sufficient air to live, eat, and reproduce quickly. The compost pile can attain temperatures as high as 160 degrees which will kill some weed seeds, make most of the microbes very active, but will deter worms and some other critters. As the pile cools, the worms will return to assist in the decomposition. Hot composition is fast, and a well maintained compost heap can fully decompose in several weeks. Cold composting is slower, primarily because the environment is hospitable to some of the micro bugs, but it’s hardly ideal. This is the form of composting that almost always occurs in the forest, where the mix is often comprised of dry leaves and dead wood. It will decompose over time, but the temperature never gets very high, and the process can take years. The goal is to create a composting environment that is “hot” – at least during the late spring, summer, and early fall. For efficient hot composting, you need to have a critical mass to generate a heat core. Most experienced composters agree that you need a minimum of 1 cubic foot of raw materials, of course, more is better. As soon as decomposition begins, the volume of the pile will decrease. You might be tempted to add more materials but you’ll have much better success if you refrain from adding raw materials to your batch of working compost, and simply start a new batch with new raw materials. While it’s nice to have a larger pile to develop a good heat core and to produce a nice quantity of compost, the raw materials should be shredded whenever possible. Smaller particles are easier to mix and easier for the little microbes to digest. Of course, the micro bugs don’t eat the whole particle, but smaller particles of raw materials means that you’ll have more surfaces for the millions of microbes to do their work. Composting is a seasonal activity. You’ll maximize your composting efforts if you continuously turn or mix the heap. Mixing your heap will help to keep the browns and greens in balance, will distribute moisture, and add essential air to the mixture. The core (the inside) of the compost heap is always hotter and is the center of activity. The outside is generally less active and much cooler. To increase the efficiency of the composting process, mix the heap to bring more of the raw materials from the outside to the core. While the compost is working, or cooking, the best tool for turning is a pitch fork or garden fork. The final mix provides a great consistency, and makes removing the compost by shovel very easy.